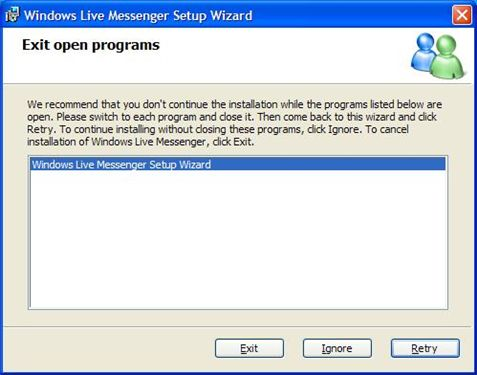 I was told that a new version of Windows Live Messenger (v8.0.0812.0) was available so I downloaded it. Problem is that I had to cancel setup for setup to continue because the "Windows Live Messenger Setup Wizard" tells me it can't run whilst the "Windows Live Messenger Setup Wizard" is running. There was only one copy running, honest!